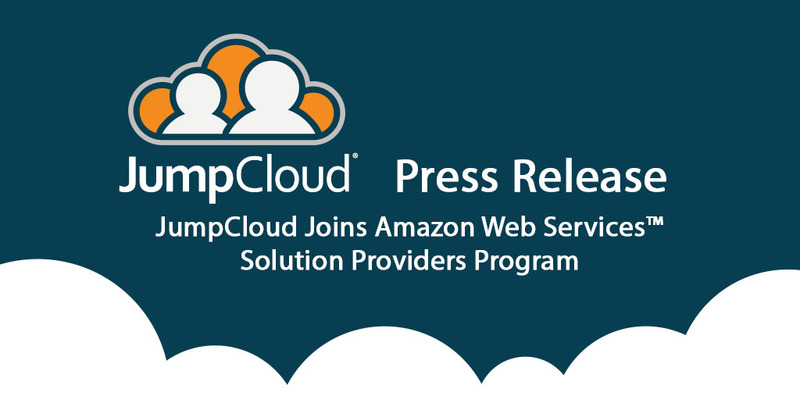 Boulder, Colo. – October 16, 2013 –JumpCloud®, the first Directory-as-a-Service® platform, announced today that it has joined the Amazon Web Services™ (AWS) Solution Providers Program. An automated SaaS-based offering, JumpCloud installs in seconds and immediately starts protecting your servers. JumpCloud completes the IT arsenal by automating many of the manual, tedious processes around server administration. Installed in seconds, JumpCloud equips IT pros with essential operations tools, and configuration management and monitoring solutions, such as Chef, Puppet, and New Relic. Are my servers fast and efficient? Who is on my servers and what are they doing? Are my servers configured properly and up-to-date, or do they need patching? Has my server been compromised, and who is it talking to? Not only does JumpCloud crisply and clearly answer these questions, it gives back several hours each day to DevOps and IT admins while also increasing server security. JumpCloud’s entry in the AWS Solution Provider directory is viewable here: http://www.aws-partner-directory.com/PartnerDirectory/PartnerDetail?Name=JumpCloud+Inc..